It may come as a surprise to know that Florida often ranks as one of the states with the highest divorce rates. Given that the state also ranks high when it comes to stress, that can certainly be one explanation as to why the Sunshine State is not so sunny when it comes to happy marriages. There are some factors that are consistent no matter where you live. Couples often divorce due to arguing too much, infidelity, getting married at a young age, domestic violence, a lack of commitment by one spouse, or sometimes people just grow apart as they get older. There are several added factors that may contribute to why Florida divorce rates are higher than many other states’. Florida’s tropical climate is a draw for many people looking for a change of pace in the United States. People who have recently gone through a divorce and are looking for somewhere new to start over may find Florida’s year-round sun is just what they need. Couples who are having trouble and are hoping to save their marriage may find Florida wasn’t the answer to all their problems. 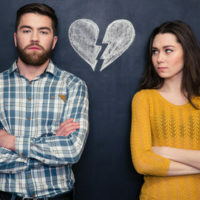 Divorce Magazine notes that whatever personal or professional issues were troubling couples in their old location likely have found their way to Florida as well. This means a change in scenery and better weather may not be enough to combat whatever personal issues are driving couples to divorce. Another potential trigger can be the sudden temptations found in a new destination. If you moved from a small town in the Midwest to a popular tourist beach locale in Florida, your troubled marriage could be on even shakier ground if your spouse is tempted to cheat. Florida has a large immigrant population, and many migrant workers are forced to leave behind family and friends in other locations. If marital problems arise, they may not have any trusted resources when it comes to support. Social support can be important in rough times, and a lack of friends and family can be a factor in why some couples opt for divorce. No matter whether you are getting a divorce after two years or thirty years of marriage, it’s important to speak to a knowledgeable Florida divorce attorney. If you are retired and are contemplating divorce, it’s even more important you speak with an attorney. There are special considerations when it comes to protecting your assets that are to be passed along to your children and grandchildren. At the Law Offices of Schwartz | White, we have decades of experiencing handling Florida divorce matters. Contact our Boca Raton office at 561-391-9943 to schedule a consultation.